Hotel Sobana is ideally located in the midst of breathtaking natural panorama overlooking the tranquil Kiriibanwewa Lake. Known for its comfortable and luxurious accommodation, delectable dining, and a host of amenities such as a spacious banquet hall, swimming pool and Ayurvedic treatments, Hotel Sobana is an all-inclusive holiday package that is guaranteed to serve as the perfect holiday destination. Located in a truly charming landscape overlooking the magnificent Kiriibbanwewa Lake, Hotel Sobana is the perfect holiday retreat for those seeking to enjoy a tranquil getaway amidst lush nature. This, coupled up with delicious food, comfortable accommodation and warm service will definitely ensure that you have a memorable vacation. 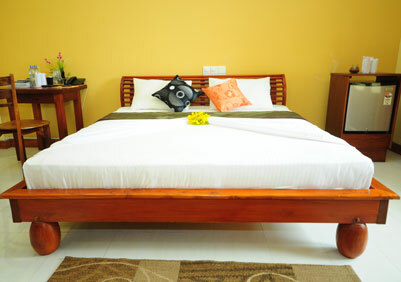 Hotel Sobana also boasts of luxurious guestrooms that are well equipped with all modern amenities, a restaurant and bar that serves both, local and international fanfare, a spacious banquet hall, swimming pool and a host of other facilities. 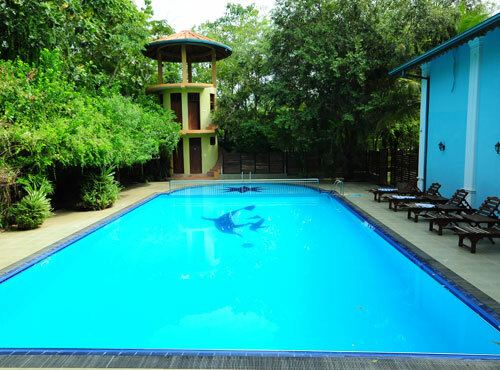 Hotel Sobana is located in close proximity to the Udawalawe National Park and serves as the perfect center from where you can enjoy a plethora of exciting activities such as safari tours, bicycle rides along the picturesque countryside and tranquil boat ride on the Kiriibbanwewa Lake. But if you choose to enjoy a calm day in the hotel premises, there are still a lot of activities you can enjoy. Take a dip in the swimming pool, a stroll in our beautiful garden, pamper yourself to a session of luxurious self indulgence at our spa or rejuvenate your spirit and mind with our Ayurwedic treatments. We have all amenities designed exclusively for you to ensure that you enjoy a vacation that you are likely to never forget.